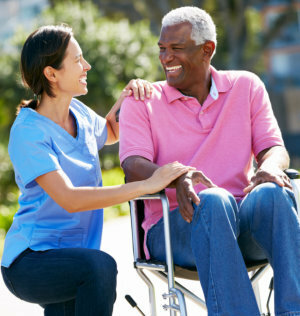 Oxford Home Care offers a broad range of services that are structured around the needs of each client. What sets us apart from most home care agencies is our personalized approach to care services. Every service is delivered by a dedicated and compassionate caregiver who understands what a particular client needs to live an independent and dignified life at home. Companionship Service – providing safety, security, and much-needed companionship to your loved ones at home. Personal Care – we are ready to assist with any and all self-care tasks your loved ones may need help in. Respite Care – we provide family caregivers a much-needed break from the worries and stresses of caregiving to focus on their lives. Hospice Support Care – our professional care team is well-equipped to provide quality end-of-life care. Live-In Care – providing constant and quality care that helps your loved ones effectively navigate the everyday challenges of health and aging. 24-Hour Care – providing you with the round-the-clock care your loved ones need to continue living an independent and dignified life at home. If you wish to inquire about any of our services, please call our office at 860-310-2898. You may also send an email with your questions and requests to info@oxfordhomecare.com.